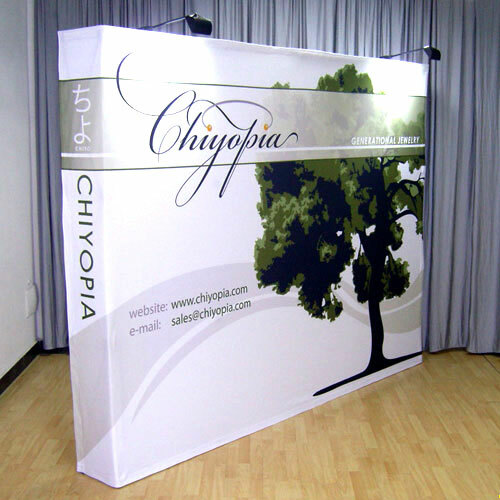 Nothing speaks distinction louder than custom-made decor. 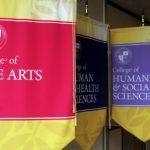 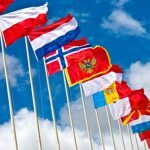 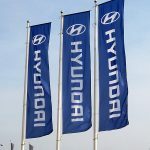 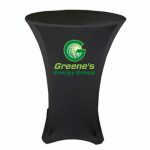 When your customers see that you have well-made decorative items specifically made for your company and not found elsewhere, this tells them that you are mindful of your name and reputation. 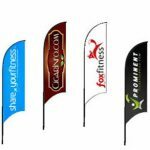 If you care about your company’s brand, then you care about giving only the highest quality products and services to your customers. 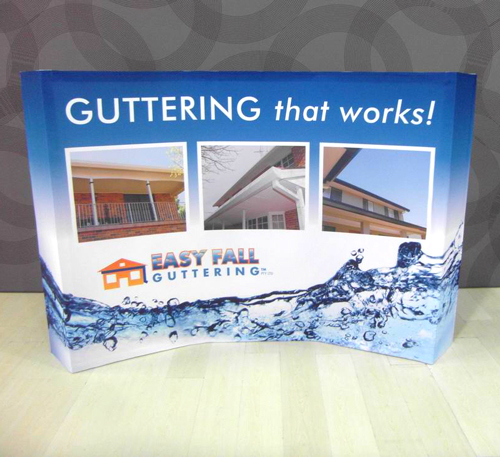 It builds confidence in your clientele. 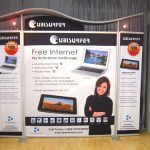 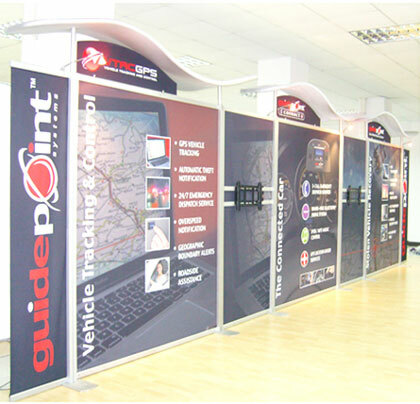 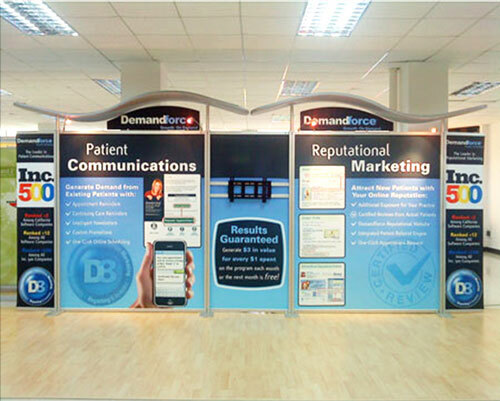 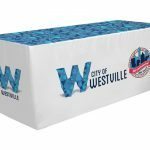 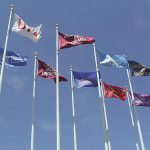 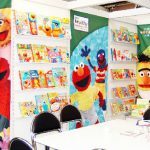 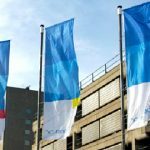 The same goes for decorating your exhibit booth at the expo or trade show with personalised items such as custom printed logo tablecloths. 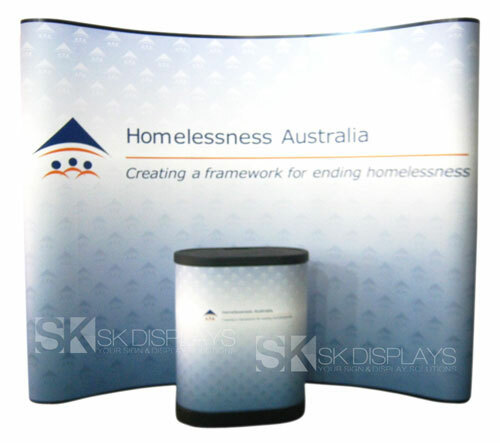 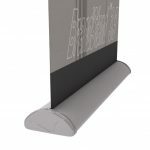 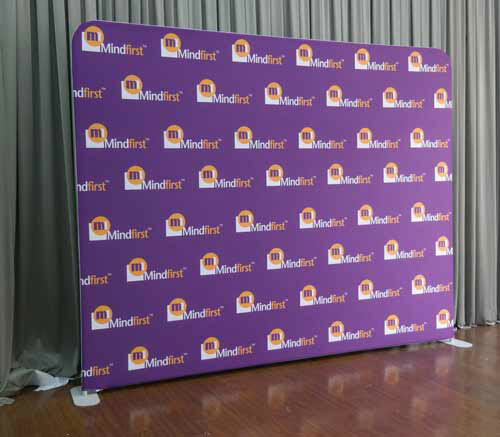 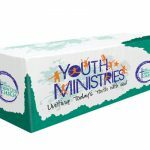 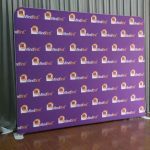 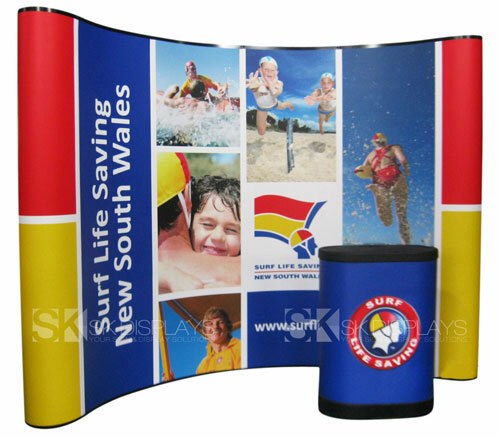 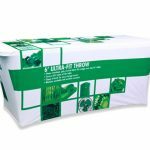 We offer table throw printing services in Australia. 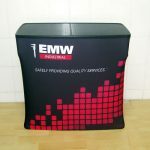 Our customised table covers satisfy more than just your sense of aesthetics. 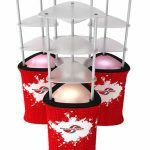 They are, more importantly, functional and practical pieces of decor. 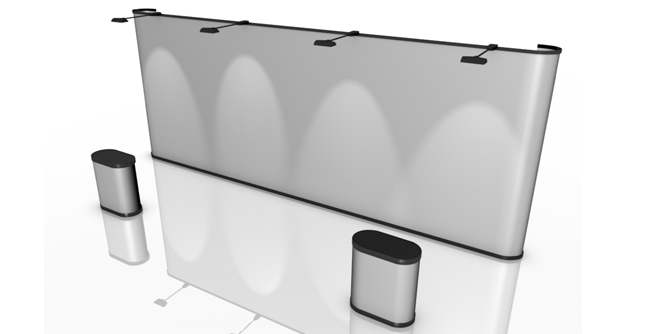 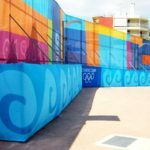 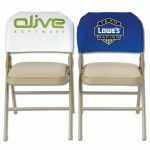 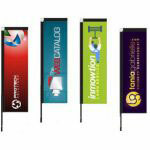 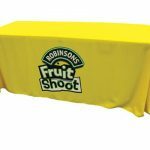 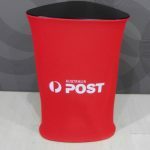 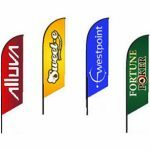 Owning a few table throws with your logo printed on it will prove to be convenient for you in the long run. 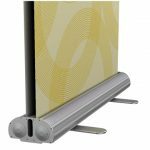 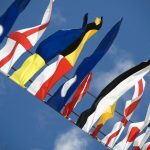 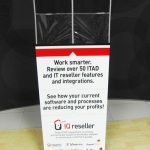 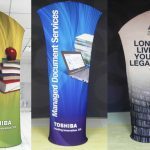 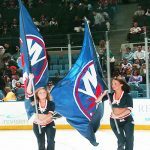 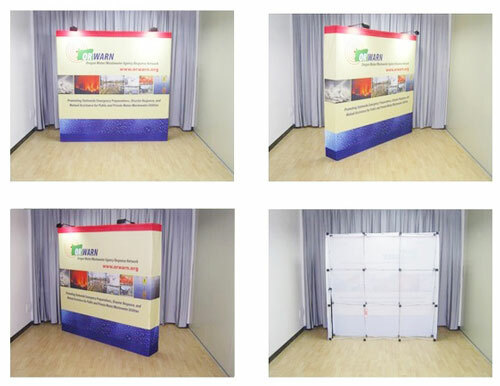 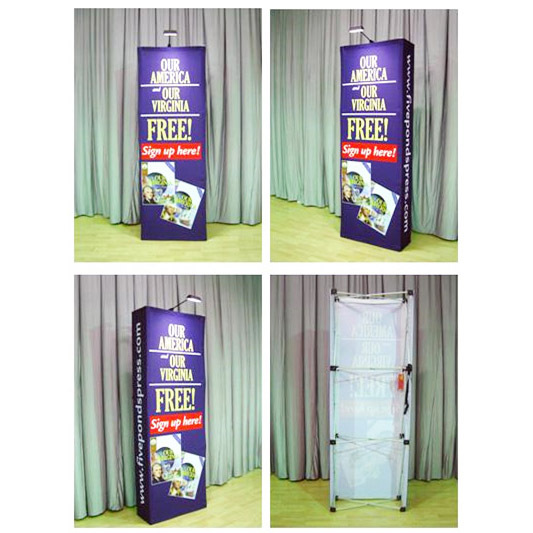 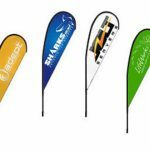 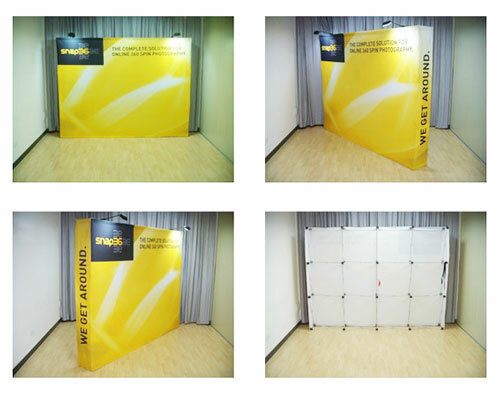 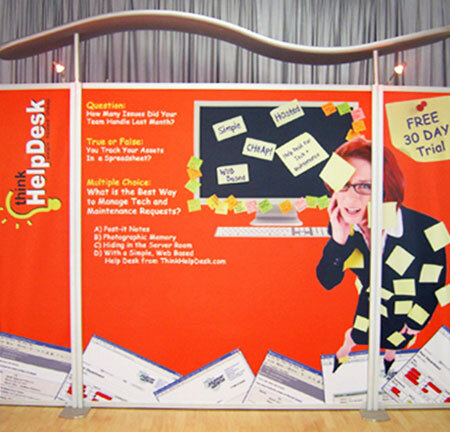 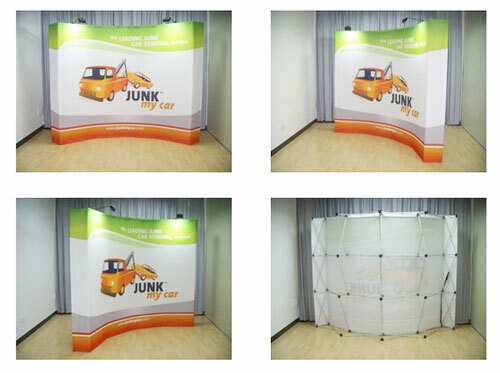 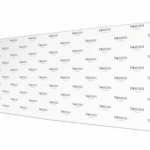 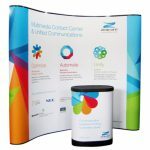 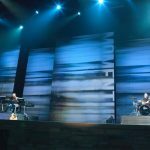 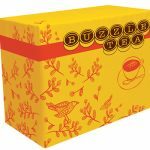 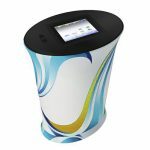 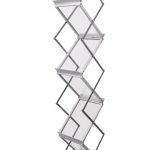 You can use them not just for decorating your displays at expos and trade shows, but also for your corporate affairs, press conferences, and other such events. 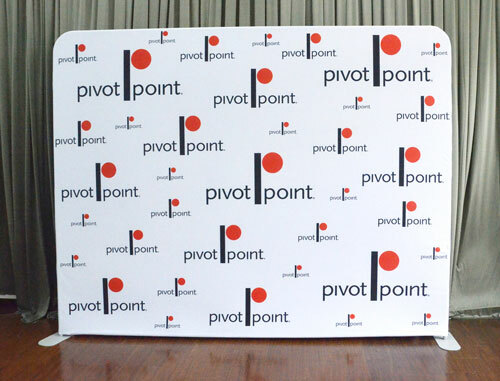 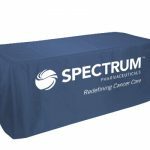 As far as aesthetics go, our tablecloths printed with corporate logos are nice on the eyes. 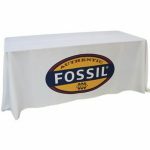 The fabric is thick; at 210gsm, it is thicker than other table cloths offered in the market right now. 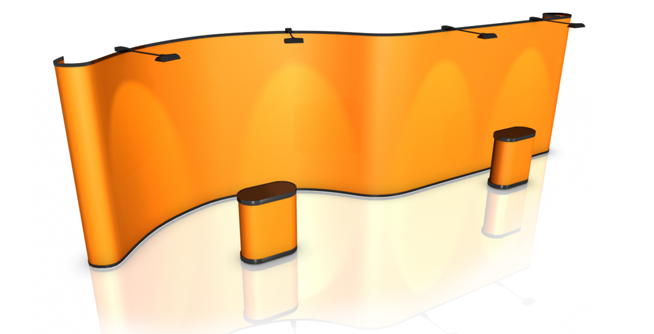 The colours are rich and bright, and the details sharp and accurate. 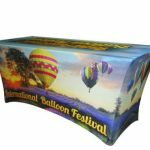 The secret behind the quality of our table covers is we use dye sublimation technology when printing them. 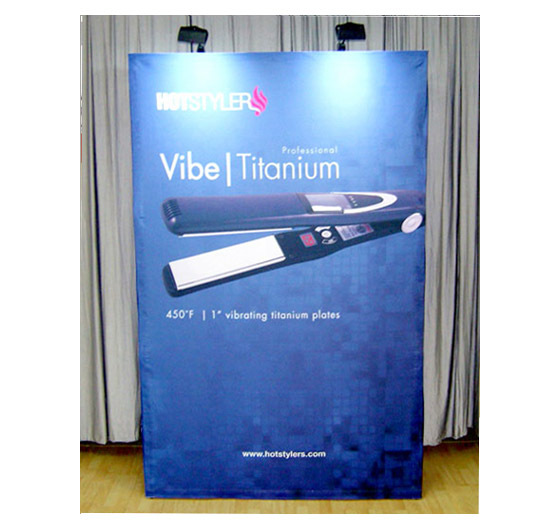 Dye sublimation printing is the most advanced fabric printing process available in the industry today. 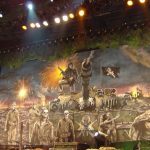 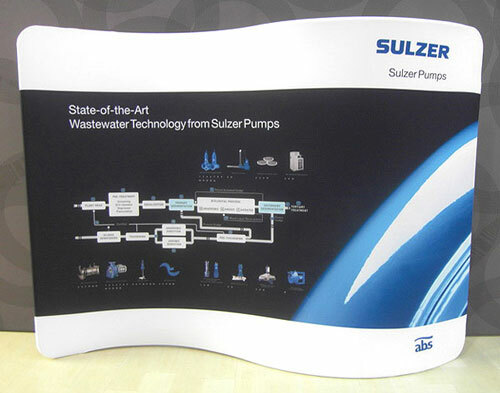 It uses high levels of heat and pressure to create stunning, detailed images in brilliant colours. 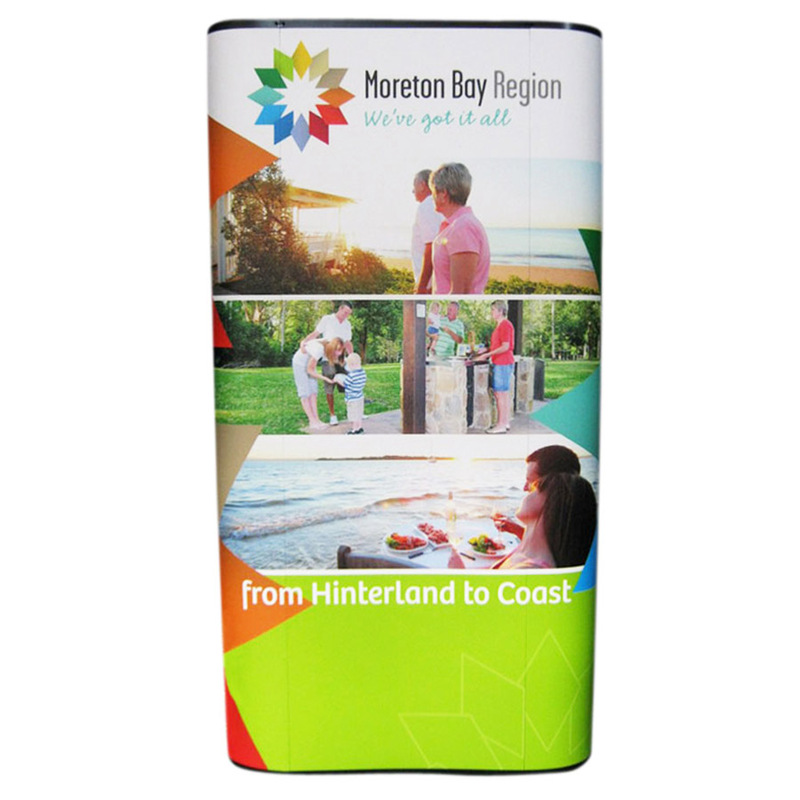 Here is how dye sublimation works. 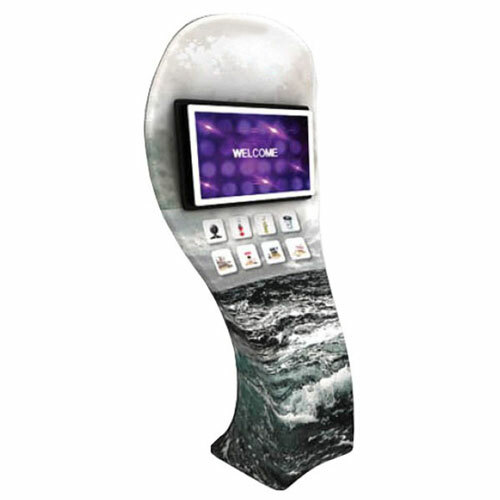 The desired image is first printed in its mirror likeness on thermal paper. 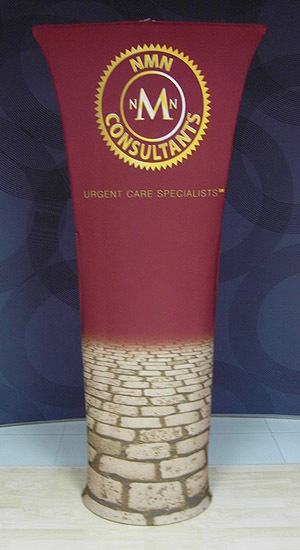 The thermal paper is then laid and pressed on the fabric medium using a machine. 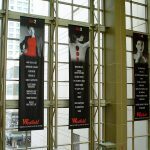 The high heat and pressure from the machine causes the ink to transform into gas and permeate the fibres of the fabric before it solidifies again. 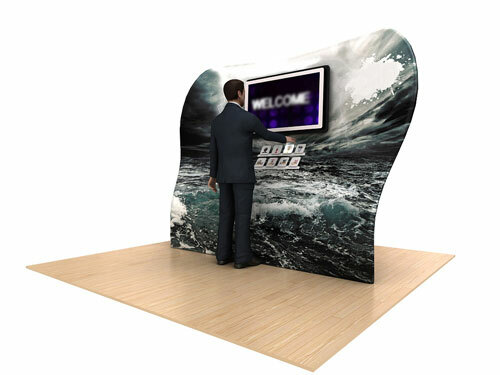 The resulting image is permanent. 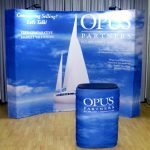 You can wash it or dry clean it and the printout won’t fade away. 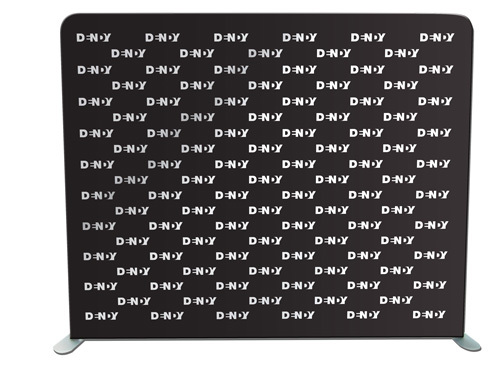 You can use this table throw as frequently as you want and the colours will stay bright and vivid. 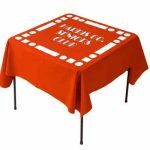 To make this table cloth even more convenient, you can order it three-sided. 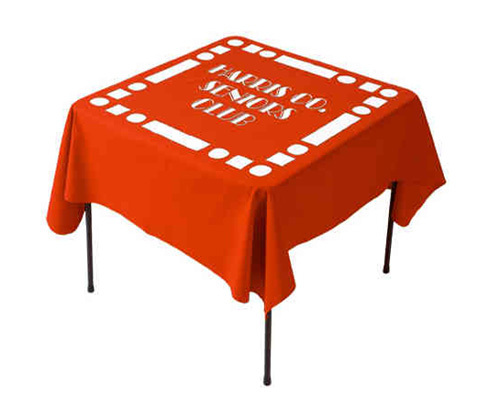 Three-sided table covers have an open backside so if people are sitting at the table, they can slip their legs underneath without disturbing the tablecloth. 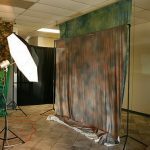 The sitters will be comfortable at the table and the cover will not slip into disarray with the sitters accidentally moving it out of place. 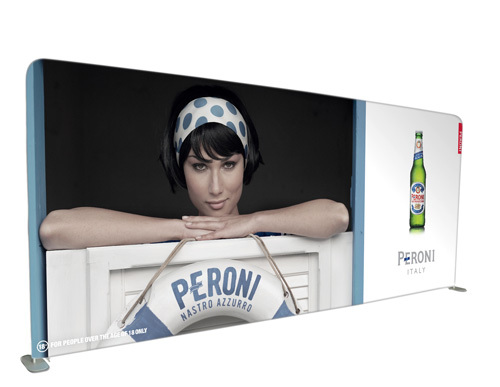 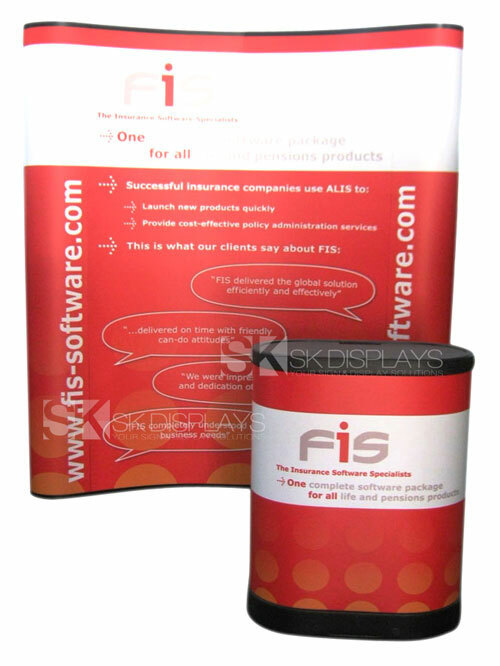 As mentioned above, we use dye sublimation technology to produce accurate and brilliantly coloured printouts. 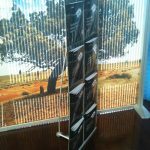 To make sure that the printout will indeed look accurate, you get to choose the exact shade you want from the Pantone colour library, an index of all colours that the human eyes can identify. 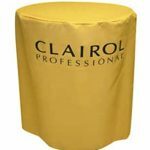 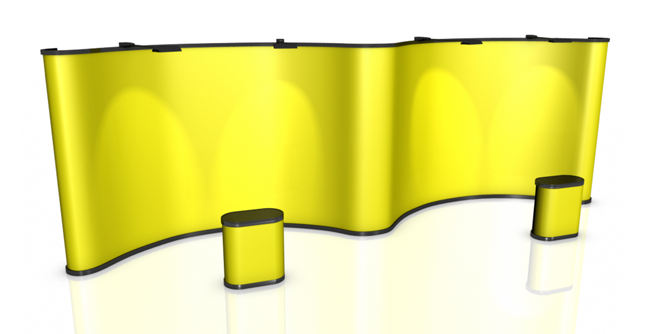 For example, if you want to have a yellow table cover, you’ll have to identify exactly what shade of yellow you desire. 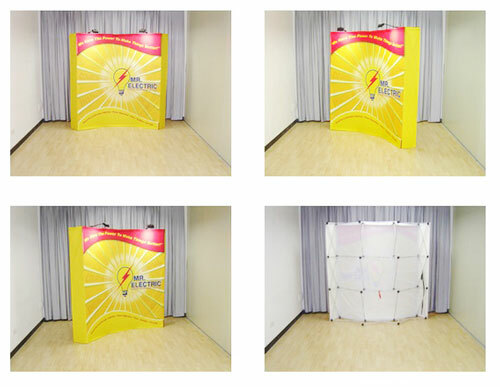 It could be corn, daffodil, electric yellow, chrome yellow, dandelion, canary yellow, banana, or any other shade in the yellow spectrum. 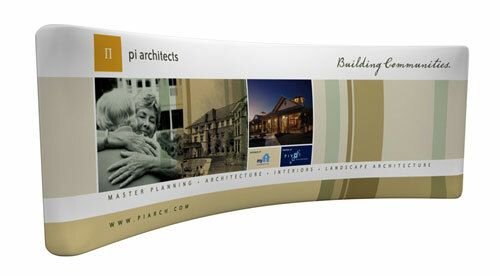 As for the design, you can provide us with your design or we can do the layout for you. 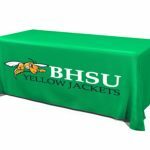 You can also request us to make a sample print before we produce the final product so the table cover will come out exactly how you want it. 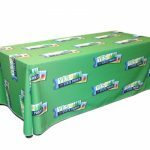 Our customised tablecloths are affordable. 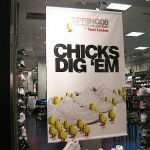 But more than that, they will save you money. 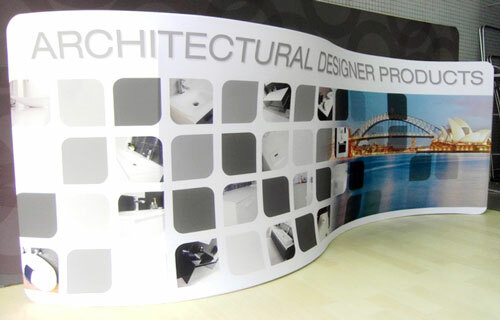 That’s because we only do full-colour printouts and we don’t require you to place a minimum order with us. 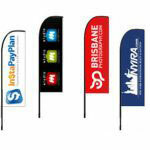 This means we won’t charge you extra for the number of colours you use for the printout. 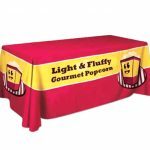 And if you only need just one table cloth, then you can order just one. 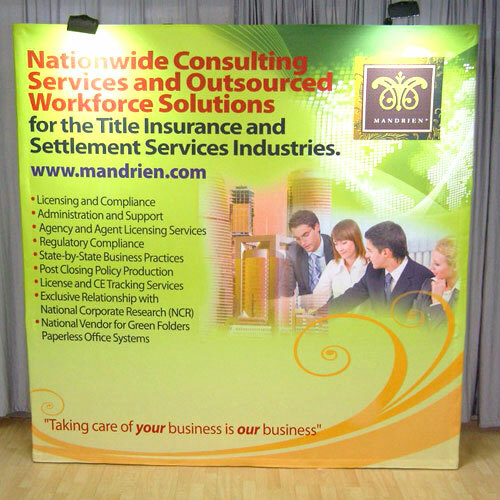 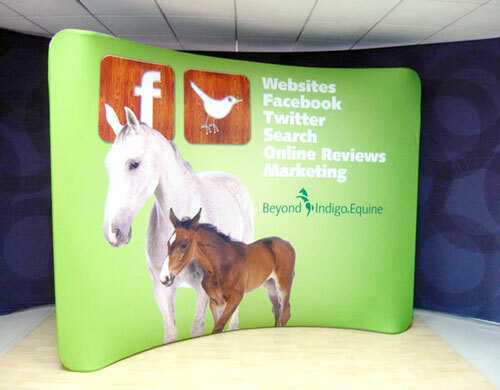 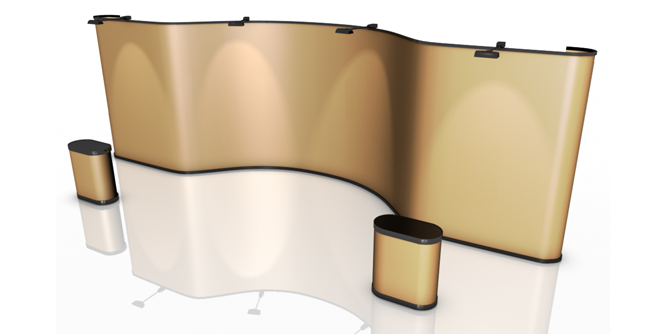 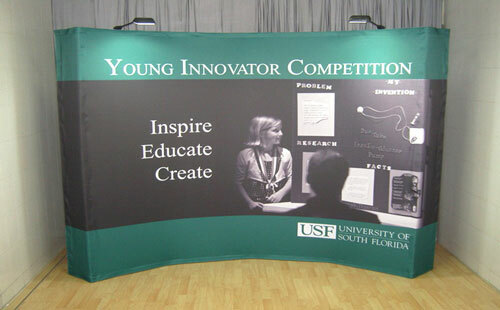 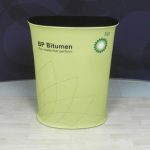 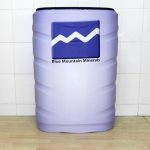 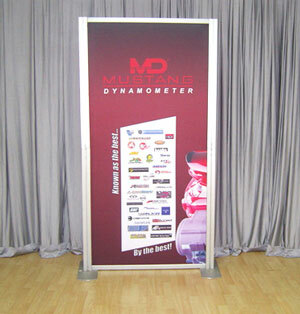 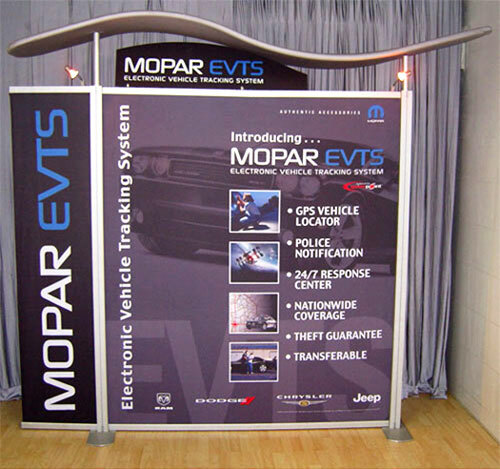 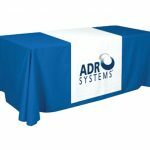 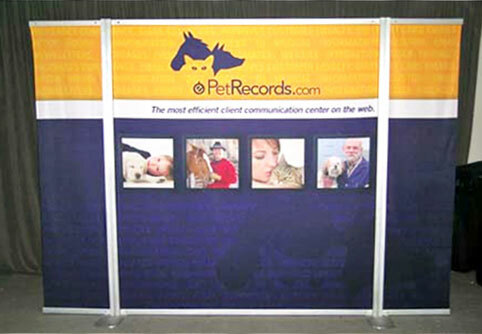 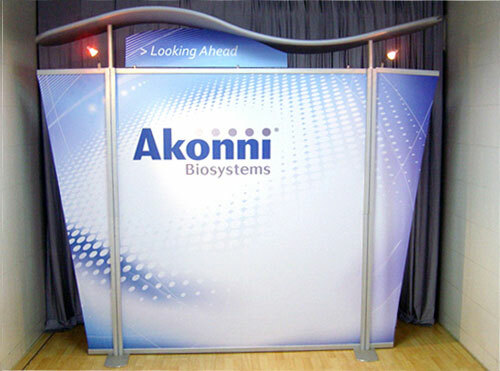 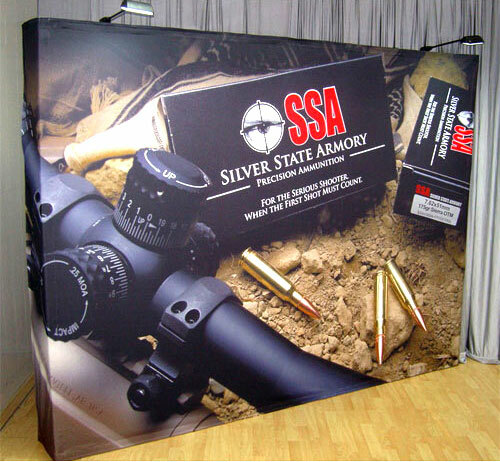 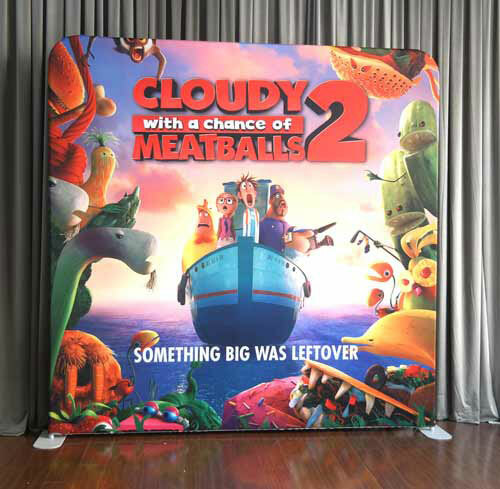 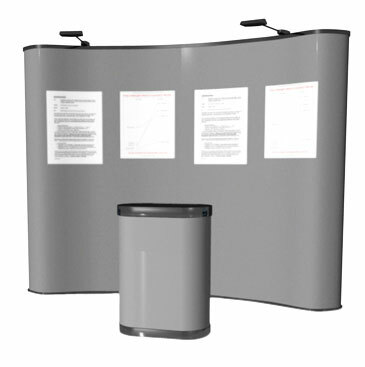 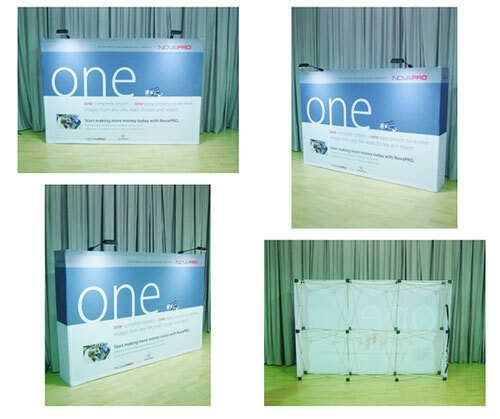 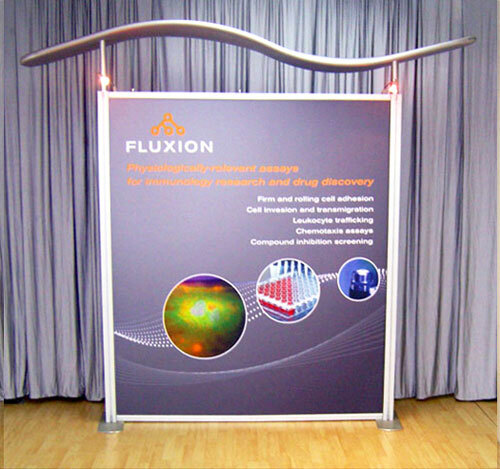 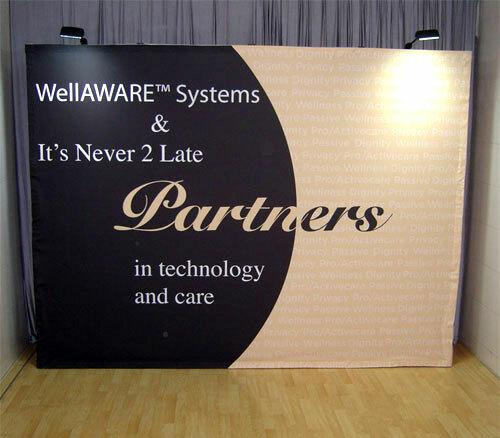 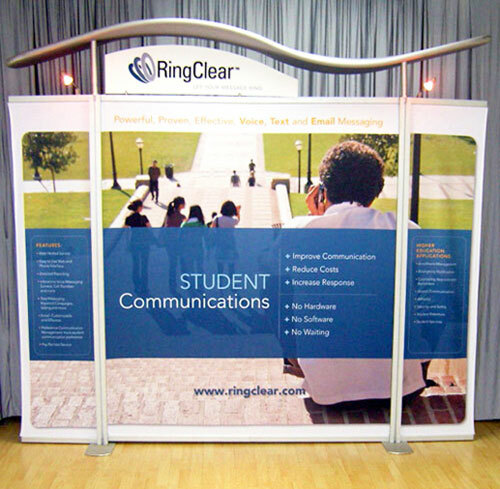 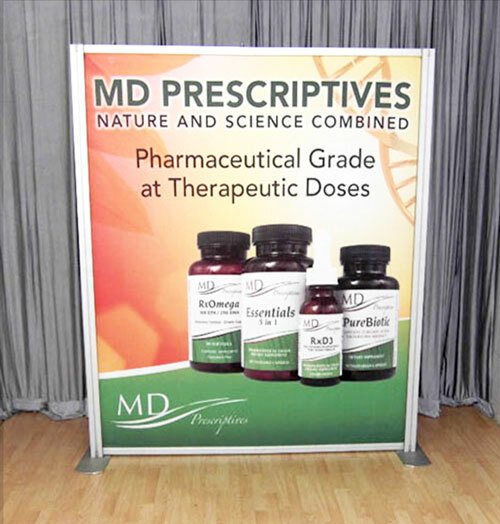 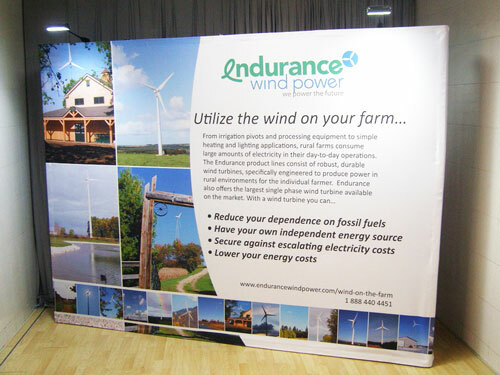 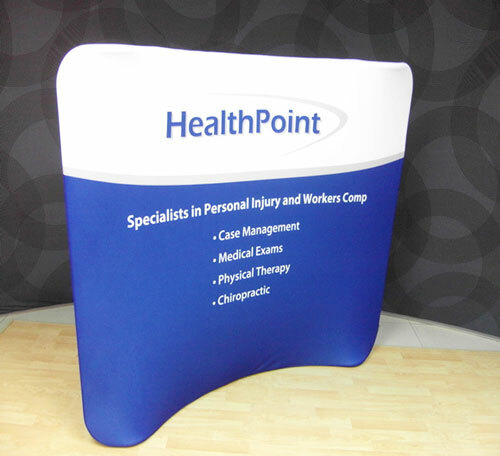 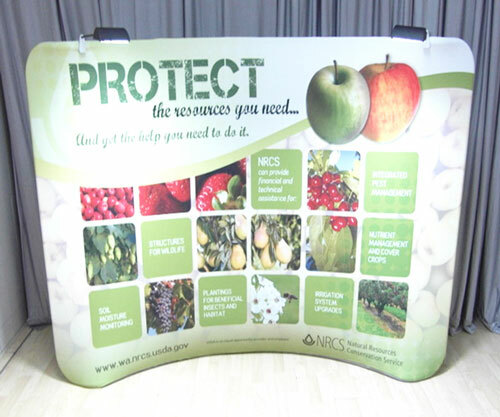 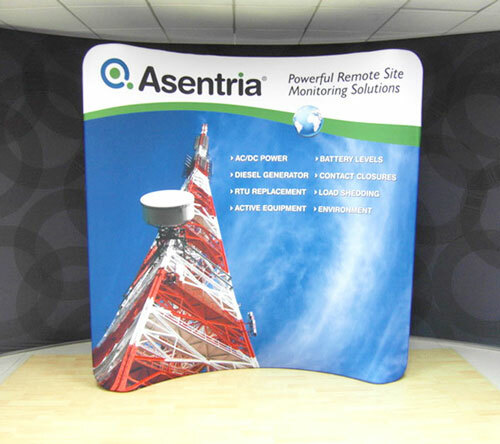 Our custom printed logo tablecloths will truly add distinction to your exhibits. 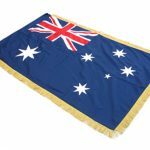 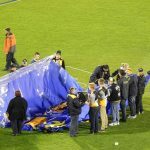 We deliver to any location in Australia, including Sydney, Melbourne, Canberra, Brisbane, Adelaide, Gold Coast, Perth and Darwin. 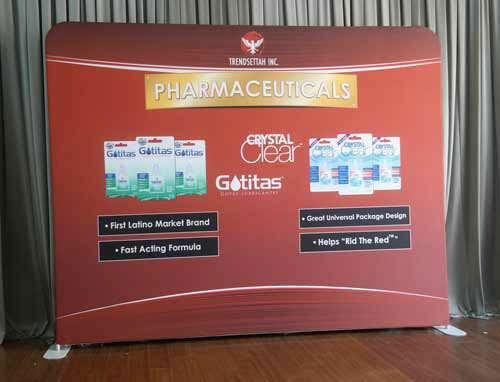 Call us today to learn more about this product.